WASHINGTON (UrduPoint News / Sputnik - 17th April, 2019) The United States will continue to step up the pressure on countries allied with Venezuelan President Nicolas Maduro, US National Security Adviser said in a statement on Wednesday. "The Administration will continue to break the reprehensible links that have contributed to Venezuela's downfall. The United States will continue to take strong actions against REGIMES that props up the failed Maduro dictatorship," Bolton said in a Twitter post. The warning comes as President Donald Trump's administration prepared to announce that it will for the first time allow Americans to file lawsuits against foreign companies and subsidiaries that benefited from properties confiscated by the Cuban government. The decision has raised concerns in Europe, and the European Union has reportedly warned that it will defend its interests and challenge the claims in the World Trade Organization and European courts. 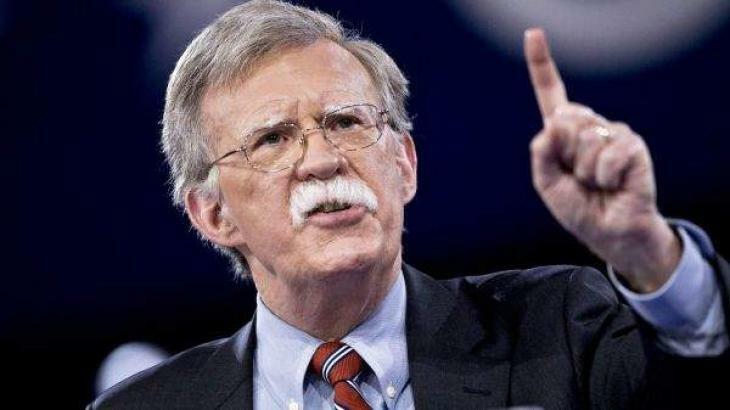 Bolton is expected to discuss the US decision later on Wednesday during a speech at the Bay of Pigs Veterans Association in Miami. The Trump administration's decision to allow the lawsuits comes as the United States steps up pressure on Cuba over its support for Maduro. The US has repeatedly sanctioned the government of Maduro in a campaign to back self-proclaimed interim President Juan Guaido to oust Maduro. The United States and several other countries recognize Guaido, while Russia, China, Bolivia, Turkey and numerous other states recognize Maduro as Venezuela's only legitimate president. Maduro has called Guaido a puppet of the United States and has accused Washington of trying to orchestrate a coup in Venezuela to replace the country's legitimate government to seize its resources.